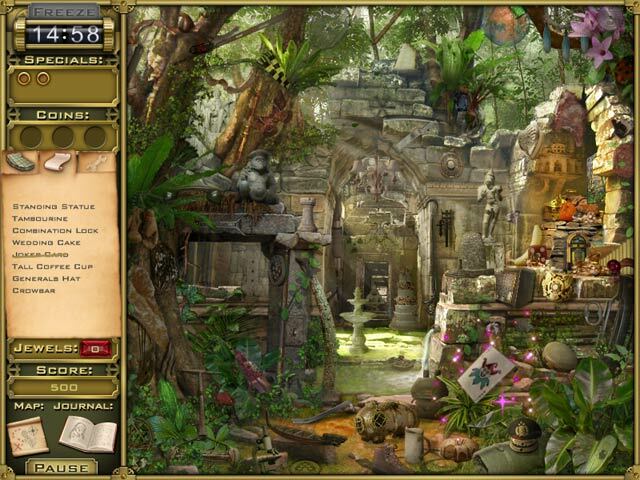 Rated 4 out of 5 by ComfyMom from Nice mix I liked this games balance of hidden object scenes & match 3, but a few more match 3 boards would not have gone amiss. The graphics are great, there is some repetition of scenes but the objects get harder to find each time. This is a long game, well worth the price. Rated 4 out of 5 by JustTheFacts from Great Game For HO Fans With Match-3 Dabbling Skills Excellent game, wish there was more of it, but very replayable. Pretty graphics, achievable match 3 games. Could use a scoring system explanation - kept asking myself, did I do well on this level or not? This is not an adventure game, so some fans may not like it, and if you don't play Match-3 games well (I learned playing Jewel Quest), you may not be able to complete the game first try. But worthy of the attempt. 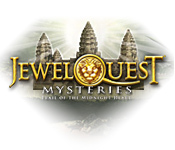 Rated 3 out of 5 by Kafinkee from My fault - expected Match 3 I really enjoyed the original Jewel Quest years ago and purchased this one thinking it was a good Match 3 game. 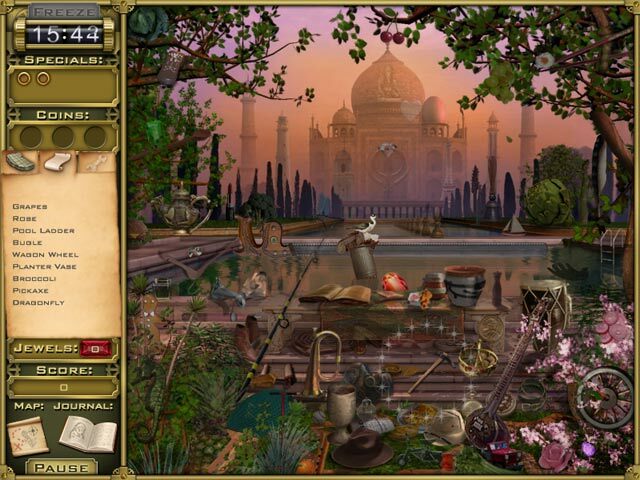 Not many match3 boards; mostly hidden object scenes. And those HOS were a little difficult on my eyes -- too many tiny objects, well hidden. I'd have liked it better if they'd at least doubled the # of match3 boards. Lost interest in the storyline early on; found it rather silly. That said, I'd recommend this game to those who are very fond of HOS. Rated 3 out of 5 by nradmaker from Meh-didn't finish my trial It was so so--not enough scene variety for me, the art ok but not as clearly drawn as I would like, and the puzzle was always the same. I don't usually pay much attention to the story line, but it seemed juvenile. So all in all, I give it a C.
Rated 2 out of 5 by Plientje from this series is getting boring Always the same ol, same ol, getting oldfashioned. Items can be very small, don't like squinting all the time. But please do try it, you might love it! Have fun! Rated 1 out of 5 by csanders1953 from Would not have bought if trial had been available. I loved the original series and spent many hours being challenged however, this is a deviation from the original combining a poorly done hidden object game with a poor match 3 game. 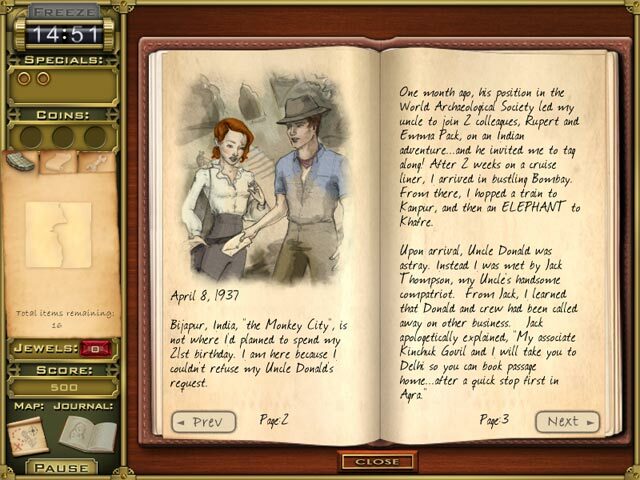 The hidden object part was boring and you kept going back to the same places, not really moving the game forward. The match 3 was not accessible until you had completed all the hidden object scenes and really had nothing to do with the story line. It was so boring and I hope they return to the original genre since it was focused on one style which they perfected. I feel I need to visit the eye doctor. I hated this but felt I had to finish it because I bought it.